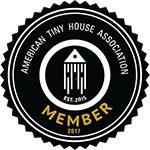 We attended the Tiny House Festival of Lights, hosted by NOAH this weekend and came back with a lot of inspiration and respect for the supremely creative and innovative people in our industry! We met with some suppliers and folks who we think would build a fine Parvus House. Take a look at some of the photos, and make plans to attend the next event to take a peek for yourself!